Griezmann: Red Devil Or Los Blanco? With the transfer season on the horizon, one of the top prospects this season will undeniably remain Atletico Madrid’s talisman, Antoine Griezmann. With 16 goals and 7 assists this season in La Liga, the Frenchman has been a vital part of Simeone’s line-up. However, the Argentine may not be able to have the services of Griezmann at his disposal for next season, with the French superstar being linked to Manchester United, and lately, in a bombshell move across the city to Real Madrid. Eric Olhats, Griezmann’s advisor, stated that several avenues were being explored with United’s offer the “first” to arrive. Speaking to Telefoot, via Fourfourtwo, he said: “There is an existing clause of €100million which is unavoidable. We’re thinking right now about the most suitable offer. Real Madrid and other clubs are part of this thinking process. Olhats also stated that there had been no contact with Paris Saint-Germain, and hence, has ruled out a move to Ligue 1 champions for the time being. “No, no contact with PSG. Last year, there was a real interest. Not this year. He might not be in their plans anymore,” he confirmed. 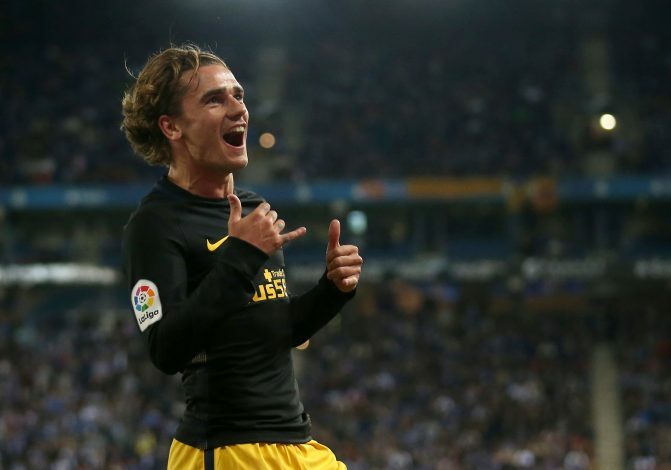 Offers from Manchester United and Real Madrid this summer would surely be big ones if they fancy Griezmann to play for them, although Atletico Madrid’s star remains open to stay with the club next season. With 25 goals in all competitions and recently netting his 100th goal in La Liga in a 1-0 win over Espanyol on Saturday, Griezmann has surely proliferated his value. With the current season coming to a close, there will be a number of factors that will play a crucial role before any transfer happens, but if the Frenchman is to move from Atletico, Paul Pogba’s £89m world record transfer to Manchester United in summer transfer window of 2016 might just turn out to be a modest amount.